This is the seventh of eight articles in the series Sizing & Selecting the Right Chemical Metering Pump. Most if not all of the metering pumps AquFlow sells is used as a part of a larger system to inject controlled amounts of chemicals into a process. That means that the other components in the system need to work well with the pump. These components that we often refer to as accessories, perform very important roles in ensuring the whole system works efficiently. AquFlow has done qualification testing to select the most suitable accessories that complement the pump perfectly. There are many accessories that can be used. Below is a list of the most commonly used accessories. 1.) Calibration Column – This is a draw down tube which is used to calibrate the pump. It is mounted on the suction side of the pump with a Tee and isolation valve. When the pump has started working, it is critical to see if the pump is set at the precise rate of flow required by the process. This is done by shutting down the main suction line coming from the tank and drawing chemical only from the calibration column. Additionally the draw down from this column also tells you about the effectiveness of check valves. If the check valve is not sealing properly you will see a drop in the level and a slight bounce back. A good check valve will not show any bounce back in the column after it drops. 2.) Strainer – All metering pumps are sensitive to particles caught in the check valve which may cause leak. It is usually recommended to filter out such particles using an inline strainer on suction line. The best option is a Y- strainer with an easily removable cartridge (for cleaning). 1.) Pressure Gauge with Isolator – This is often the most overlooked accessory in a pump system. Without the pressure gauge one cannot see whether the pump is working or if it has an airlock and not pumping at all. It is also critical in troubleshooting the pump. The movement of the pointer tells a lot about the pump strokes and its effectiveness in developing and holding pressure. A gauge isolator ensures that the chemical does not corrode the components. 2.) Back Pressure Valve – All pumps that use ball valves depend upon discharge pressure to close and seal the valves. Hence a back pressure valve after the discharge valve ensures a consistent pressure in the discharge line. The process discharge may or may not have a pressure on discharge. If there is minimal pressure then the discharge valve will not close and the chemical may siphon through completely compromising the accuracy of the flow. 3.) 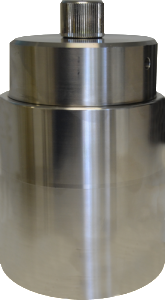 Safety Relief Valve – There is an internal safety relief valve in all AquFlow pumps to prevent over-pressurization and pipe ruptures because of it. However, many engineers prefer another secondary safety valve outside of the pump to make sure pipes do not start blowing or leaking when there is a clog in the discharge line downstream. It is strictly a safety precaution where the valve opens in such situations and lets the chemical back into the suction line or the tank. 4.) Pulsation Dampener – Any reciprocation pump will have pressure spikes also known as pulsations. In some applications, for example, where a flow meter sensitive to pulsations is used, a dampener is required to reduce such pulsations. Also, pulsations could have a long term impact of damaging the pipes / fittings and causing leaks. 5.) 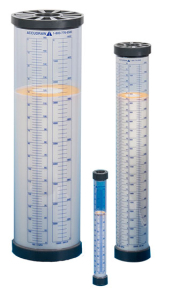 Flow Meters – These are important in all automated systems where the device measures the flow and sends a signal, to control the flow rate of the pump by increasing or decreasing the stroke length or stroke frequency (speed). AquFlow can provide all of the above accessories that work well together to ensure a successful dosing system. The customer does not have to worry about finding and matching the correct accessories. In fact, we can also put all the accessories together on a custom built turnkey system, if the customer so desires.